John Debney was born in 1956 in California. His father Louis Debney was a production coordinator and producer for Disney programs such as Zorro and Wonderful World of Color. John began with guitar lessons at a young age and studied the Disney animated films his father would bring home to watch. Eventually Debney found his way into rock bands. For college, Debney received a degree in Music Composition from California Institute of Arts (Cal-Arts). Shortly after graduation, Debney found himself in the copying department at Disney, and eventually arranging and re-scoring music for Disney World and Epcot. It was television composer Mike Post that got Debney a start as a composer. His work with Hanna-Barbera animated shows led him to work on Yogi Bear, Scooby-Doo and Jetsons TV series and TV movies in the early 1980s. He also wrote some additional music for Disney television programs around the same time. In the mid-80s, he composed scores to the TV shows Fame, Police Academy: The Series and A Pup Named Scooby-Doo. It was his animation work that led him to one of his beginning features, The Jetsons Movie (1990). His work on the series The Young Riders gave Debney an Emmy nomination for Main Title Theme, and won an Emmy for the underscore of an episode in 1991. Debney also provided the score to the ride Phantom Manor at Disneyland Paris, which opened in 1992. 1993 was a big year for Debney, as he started getting more projects. Among the TV movies, he scored two episodes of Star Trek: Deep Space Nine, a few episodes of SeaQuest DSV (including an Emmy winning Main Title theme). One of his first film successes (and first studio film) was the popular Disney Halloween film, Hocus Pocus (1993). He started scoring more family-friendly fare such as White Fang 2: Myth of the White Wolf (1994), Little Giants (1994), Houseguest (1995) and one episode of Star Trek: The Next Generation. It was the box office bomb Cutthroat Island (1995) that brought Debney some attention from music lovers. His swashbuckling score was reminiscent of the old Korngold scores of the 1930s, utilizing the London Symphony Orchestra. This remains as one of the genre's best and one of Debney's best achievements. His work on the series The Cape (1996) was honored with an Emmy nomination for Title Theme and winning for the dramatic underscore to the pilot (shared with Louis Febre). Debney continued to get film gigs, like Liar Liar (1997) with themes by James Newton Howard, and the horror films The Relic (1997) and I Know What You Did Last Summer (1997). In the late 1990s, live action family oriented comedies continued, like Paulie (1998), My Favorite Martian (1999) with Danny Elfman, and Inspector Gadget (1999). That same year, he switched styles for the apocalyptic film End of Days (1999). 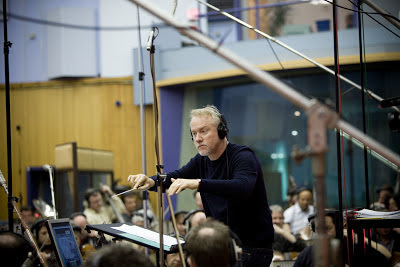 In 2000, Debney reunited with Disney animation, this time for the feature-length The Emperor's New Groove (2000) which was quickly scored alongside songs by Sting. Debney began a collaboration with director Robert Rodriguez as one of the composers in the hodge-podge score for Spy Kids (2001). His style came in handy for such films as Cats & Dogs (2001) and the animated Jimmy Neutron: Boy Genius (2001). Starting with director Garry Marshall, he scored the popular comedy The Princess Diaries (2001). He ramped up even more films with the supernatural Dragonfly (2002), another film with Rodriguez Spy Kids 2: The Island of Lost Dreams (2002) and the larger than life The Scorpion King (2002). 2003 provided some more high profile films including the comedy Bruce Almighty (2003). He began a collaboration with director Jon Favreau on the Christmas hit, Elf (2003). 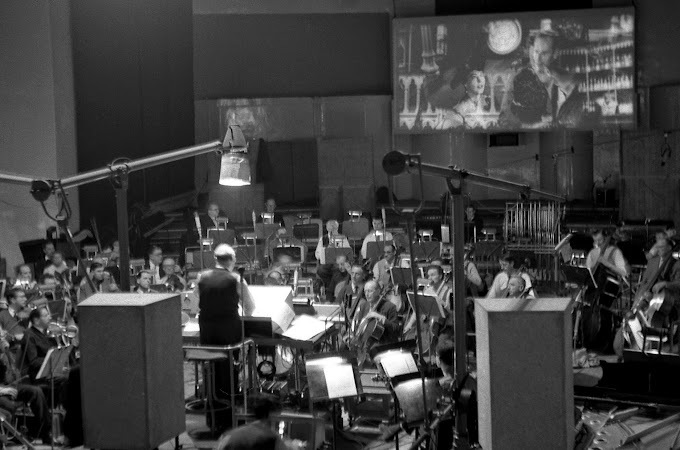 Additionally he stepped in to Looney Tunes: Back In Action (2003) to finish a few cues for Jerry Goldsmith. (None of his cues appeared on the soundtrack). Debney composed a lot of scores in 2004, like Raising Helen (2004) and The Princess Diaries 2: Royal Engagement (2004) both with Garry Marshall, and additional cues into Spider-Man 2 (2004). His most notable feature turned out to be The Passion of the Christ (2004). The dark and dramatic score featured a large orchestra and orchestra, ethnic instruments and vocal solos. The score led to Debney's first Oscar nomination. He later transformed his popular score into The Passion of the Christ Symphony, which premiered in Rome with a huge orchestra and choir. Debney reconnected with many collaborators like Robert Rodriguez for The Adventures of Sharkboy and Lavagirl (2005) and Sin City (2005), Jon Favreau for the adventure score Zathura (2005). That same year he scored the lovely Dreamer (2005) and another Disney animated film, Chicken Little (2005). In 2005, Debney became the youngest composer to recieve ASCAP's Henry Mancini Award. Debney's versatile sound obviously fits with animated films, with the scores to Everyone's Hero (2006) and The Ant Bully (2006). In 2007 he returned with director Tom Shadyac for Evan Almighty (2007), with Garry Marshall on Georgia Rule (2007) and yet again composed additional music for Spider-Man 3 (2007). It was also the year Debney dabbled into scoring a video game - this being Lair (2007). The score got tremendous reviews, a BAFTA nomination and remains a fan favorite. 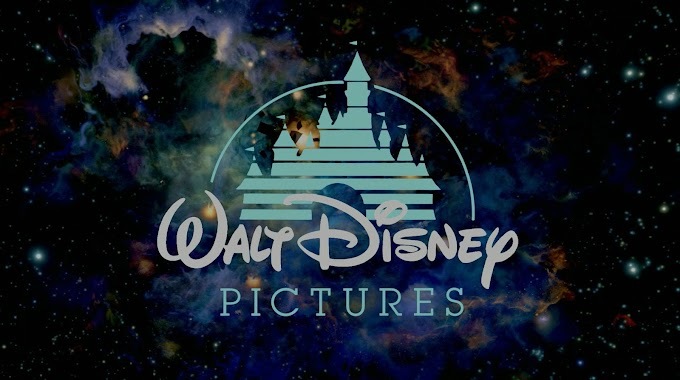 Over the next few years, Debney continued with family friendly fare like Hotel for Dogs (2009), Aliens in the Attic (2009), Yogi Bear (2010), comedies like Meet Dave (2008), and Old Dogs (2009). His dramatic score to The Stoning of Soraya M. (2008) is another powerful score along the lines of Passion of the Christ. He reunited with Garry Marshall for the romantic comedy Valentine's Day (2010). He returned to his action roots with Predators (2010) and for the Marvel film Iron Man 2 (2010), directed by friend Jon Favreau. 2011 saw the thriller Dream House (2011) and the Valentine's Day follow-up directed by Marshall - New Year's Eve (2011). He scored the comedy The Three Stooges (2012), action thriller Alex Cross (2012) and returned to his TV roots with the miniseries Hatfields & McCoys (2012), which his score was nominated for an Emmy (shared with Tony Morales). So far in 2013 he scored the thriller The Call (2013), and the Steve Jobs biopic, jOBS (2013) with many films most likely in the pipeline. With scores appearing in just about every genre and subject, you've probably heard a John Debney score without even knowing it. He has turned out many films a year since the beginning of his career. He was even profiled in Variety as a "Billion Dollar Composer", scoring films that grossed billions. In addition to conducting his own film scores, Debney conducted several re-recordings with the Royal Scottish National Orchestra. Debney's adaptability in genres and styles makes each score sound fresh and different. Being able to go from animated comedies to action thrillers obviously is one of his best attributes and he can turn out a high quality score within a quick deadline. And of course, even the goofiest (and lowest reviewed comedies) are taken seriously in their scores and feature great orchestral writing. 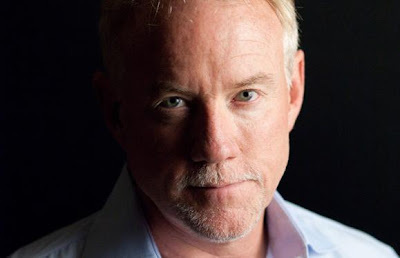 John Debney really has shown perseverance going from TV movies and series to high profile films throughout his career. He has thrived with his collaborations with directors like Jon Favreau, Garry Marshall and Robert Rodriguez. Debney continues to be one of the most sought-after composers in Hollywood today. Nice write-up. A composer I have enjoyed quite a bit, but never knew his history. Cutthroat Island is a swashbuckling masterpiece and Lair is one of the finest orchestral game scores ever.